Things I wish I knew before ordering my cards at Vistaprint. Next step: printing out my pitch on address labels to attach to the back of my cards, which thankfully do not feature a picture of a butterfly, puppy, or phallic-looking lighthouse. Back to editing my book! I’m going to go out on a limb and be riskily honest. When authors hand me business cards at conferences, I politely take them, glance down at them for the three seconds etiquette dictates, and then I never look at them again. I throw them out when I get home. Writers! Are you looking for a unique opportunity to further your skills and meet some new writing friends? Also, please feel free to share any writing workshops, groups, or programs that you have found helpful. Shades of YA | Blog | Epic Reads | Your World. Your Books. Shades of YA | Blog | Epic Reads | Your World. Your Books.. Check out my Recommended Reads and leave comments with your own favorites! 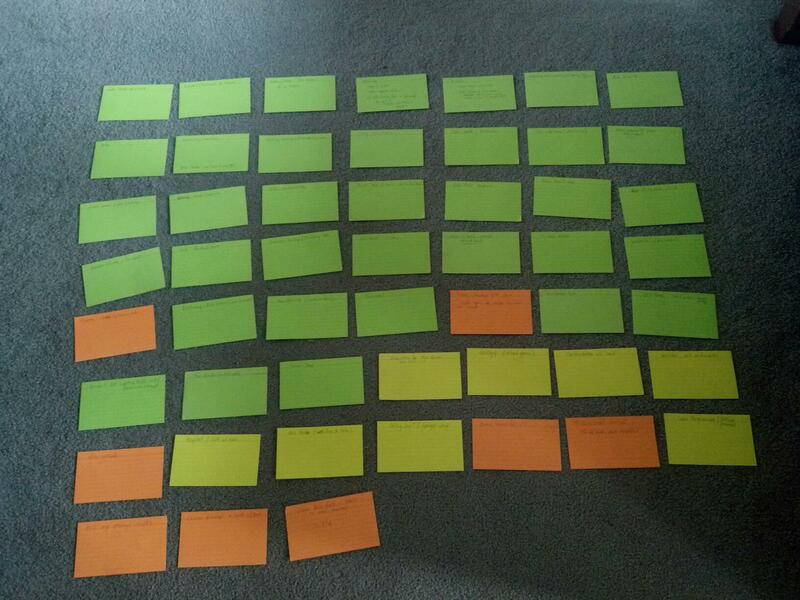 Today, I did something I thought I’d never need to do: I created a timeline of my protagonist‘s life. Well, not completely, but it was a start. Why did I do it? To understand her better. I only had half a picture of my girl’s current situation. She was angry, confused, lonely, and upset — and I didn’t know entirely why. I needed to know the story before The Story. Not to inundate readers with it, but for my benefit. Sometimes the writer needs to get the whole story down in order to give the reader the best part.